Roof cleaning services are easily available but, getting the best professional for the job is not an easy task. 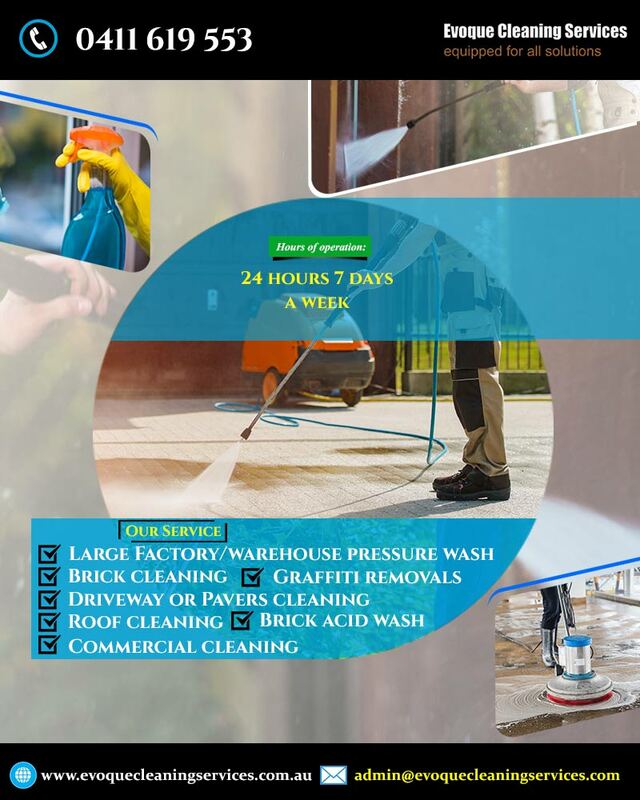 Evoque Cleaning Services is a leading and reliable company providing services in different areas such as Melbourne, Point Cook, Rosebud, Carnegie and Geelong. Our company is well established and has a repute of meeting the requirements of all our clients. Whether it is pre – cast panel cleaning or paint removal lead paint removal we can accomplish all sorts of services. If you have any queries then, speak to our representatives. Get in touch with us to book an appointment for driveway cleaning and painting.